Unlock The Law presents the ultimate guide to driverless cars and road traffic law in the UK and beyond. Technology is one area of life that never slows down. Despite technology companies working to ensure that they are the pioneers of their respective fields, their innovation will often result in their competitors working to develop something new to compete. Technology is also an area that can cause the law a bit of a problem: where technology changes constantly, the law has the unenviable task of keeping pace with these changes and governments must legislate to account for any number of legal issues that arise from a technological innovation. Given that technology has become an almost essential part of modern life, there is no aspect of daily activity that is not affected by innovation. Alongside the likes of Samsung and its 'emotion reading' smart phones, and Virgin with its space tours there are now some companies that are taking the simple aspects of human life and attempting to make things a little easier. This article will introduce the work of Google and its hotly anticipated driverless car, detail how the car has been designed and how they work, and introduce the legal issues that such an innovation would present. What legal and practical questions does this article to driverless cars and motoring law answer? Why create a driverless car? What is Google doing to develop driverless cars? How do these cars work? 1. Why create a driverless car? One might question why Google, or any technology or car company for that matter, would bother with the huge investment of finance and expertise that would be required to make this idea a reality. There are a number of reasons. Some suggest that the driverless car is simply the next evolutionary step in automotive technology, given that there are aspects of driving that are already operated via computers e.g. self-parking and cruise control. Others suggest that the driverless car would be a useful tool in the attempt to make the worlds roads safer. Traffic accidents caused by human error are a common occurrence on the roads, and many believe that this innovation would go far in making driving safer. Another suggestion is that driverless cars could provide for huge efficiency savings, ensuring that roads are used properly by drivers and maximising the capacity of road networks. Regardless of the reason why Google is developing the driverless car, it has caused a huge increase in the number of organisations that have been experimenting with 'driverless' car technology. Car manufacturers including Volvo have now made significant investments into developing their own driverless car. Following its announcement of the project, Google had made public that it had no immediate intention to develop the driverless car to be available to car manufacturers. However the company does possess the long term ambition of being able to design a system that will ultimately allow car manufacturers to use the technology. 2. What is Google doing to develop driverless cars? 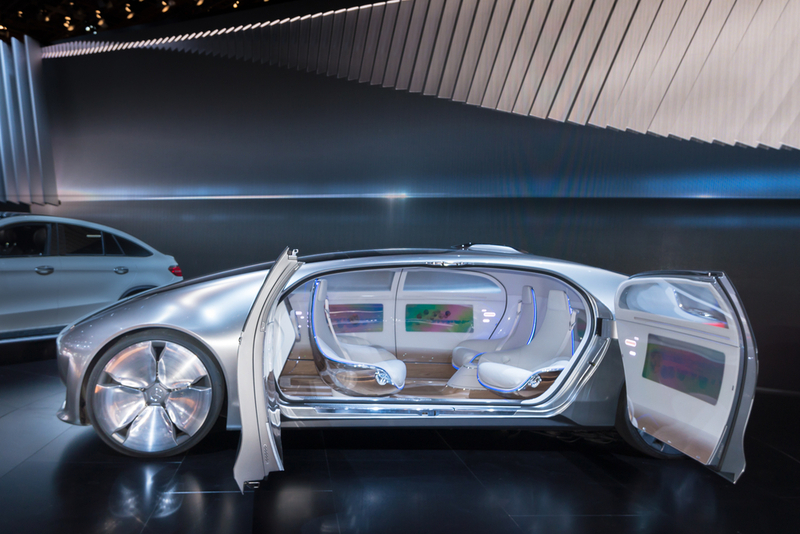 The driverless car is in relatively advanced stages of development. The majority of testing has taken place on the streets of an area called Mountain View, California. Industry observers have commented that Google must ensure that the testing of the car is rigorous, accounting for the various types of weather that cars are expected to operate in – and are not based solely on the dry and relatively predictable climate of the West Coast. Google also announced that it intends to subject its driverless car system to testing in a virtual environment. Google is reported to have designed a digital environment that captures the entire Californian road system, where the driverless technology may be exposed to the variety of hazards and situations that are encountered by normal drivers in their everyday lives. 3. How do these cars work? The words 'driverless car' tends to conjure up images of a person sitting in a car, being driven along without having to touch any of the control equipment. Indeed the intention of Google in pursuing this project was that its car would lack any of the controls e.g. steering wheel, pedals, indicating sticks that are found in every car on the roads today. The aim was to create a vehicle that was driven by an internal computer. Unfortunately the journey from the design table to the roads has not been without its obstacles. Google announced in August 2014 that they would have to add (temporary) manual controls to their driverless car. This came as a result of the Californian Department of Motor Vehicles issuing new rules that a driver must be able to take "immediate physical control" of the car if the situation warrants it. Google has also created a very sophisticated system to allow the cars to operate. This system is known as the 'Chauffer system' which uses a very sophisticated kind of technology called Lidar. This technology is designed to operate along the same principles used in Sonar and Radar equipment, but with a much higher degree of accuracy. The car will already have a large volume of preloaded maps of the local geography of the driver, which will be enhanced with a GPS system and camera. Furthermore the car will also be equipped with a number of special lasers which will allow it to effectively map out its changing environment as it is moving. All in all the computer equipment will take over almost every major aspect of the driving experience. Unfortunately however, the car is not going to be completely driverless, in the sense that the driver will never have to do anything. When dealing with a more complex series of roads, or parking the car, the Chauffer system will still need some input from the driver. The car is also reported to have been designed to deal with speeding cars in a particular way. While ordinary road users will normally observe the legal speed limit, even if there are speeding cars nearby, the Google driverless car will deal with the situation differently. It has been reported that the driverless car will increase its speed to match that of speeding cars – depending on what the overall traffic conditions are like. The Lidar system is designed to monitor the speed of nearby cars, and will adjust its speed accordingly. However the car is reported to be limited to travel at 10mph above the speed limit. The UK has given permission for trials of the driverless car to take place from January 2015, with the trial period expected to last between 18 and 36 months (indeed the trials began on 12 February 2015). The UK Government has also announced that there is to be a review of road regulations and that it will provide guidance on how driverless cars would operate in the UK, meeting all of the requirements of the roads and safety legislation. Furthermore the Government has also stated that the Highway Code will have to be changed to reflect the introduction of driverless cars. There is to date no evidence that speed limits on UK roads will change, even with the introduction of driverless cars. Other than the broad statements of the need for changes to the law mentioned above, there has been very little open discussion on the legal issues that will arise as a result of the introduction of driverless cars to the UK. In the UK at the moment, unsurprisingly, there are not that many rules and regulations that cover driverless cars. However this lack of a legal framework will have to change, with driverless cars taking to the UKs roads in the coming year. • Who is the driver? Under current laws in the UK, the driver of a car is the human or person that is in control of the car. As a result, they will be held responsible for any accidents that they cause while driving the car. But who would be in control if an accident was caused by a driverless car? Unfortunately none of the current UK laws answer this question. Furthermore there is even less guidance on what these kinds of cars should/ should not be able to do. There is however the Vienna Convention on Road Traffic, an international treaty that the UK signed back in 1968. This treaty was created at a time when driverless cars were never even on the drawing table of any technology or car manufacturing company, so a lot of its terms are redundant. However the treaty did make clear that drivers of vehicles – whether this was a car, a bike, a bus or a minivan is irrelevant – must have control of the vehicle at all times. Granted that the UK did not create any domestic legislation to mirror the terms of this treaty, but it is likely that any UK Government would want drivers to be able to exercise direct control over a 'driverless car' if the situation called for it. In any event, the treaty does have an amendment which permits cars to 'drive themselves' provided that the controlling system "...can be overridden or switched off by the driver". Assuming that the UK attempts to uphold the terms of this treaty it is possible that a driverless car operating in the UK would have to operate an 'on' and 'off' system whereby a driver could take control of the car if they needed to. While driving a car that has its driverless car feature disabled means that the human driver will be responsible for any accidents, is this same if the driverless feature is enabled? Providing that any driverless cars operating in the UK had an on and off style system, this should satisfy any international obligations that may exist. Furthermore if a driver is actually in control of a driverless car – they have disabled the driverless feature – then they will obviously be held accountable for any harm, be it civil or criminal, that they cause. However this does not quite answer the question as to who would be liable for any breach of UK law when a 'driverless' feature is enabled. The question is: In the event of a car crash where someone is injured or killed, or where a car is parked on a double yellow line or 'no parking' zone, or where it enter a one-way street because of a mapping error, who is responsible? At the moment there are no answers to these questions when dealing with the driverless cars. Generally in the UK it is the responsibility of a car owner to ensure that it is in full working order and capable of driving on the road. However the technology used in driverless cars – lasers, cameras and digital mapping systems – raises concerns regarding product liability or civil claims more generally. If there is any part of a car that is faulty, or not road worthy because it has not been built or designed properly then it is likely that liability will lie with the car manufacturer. In the case of Google and its driverless car, if it were the manufacturer, a faulty software update or flaw in the computer systems design that causes an accident would likely leave the company liable for a product liability claim in the event of a car accident. For more information about accident claims see our advice guide. The situation would be slightly different if Google was not the manufacturer of the cars themselves, but merely provided the technology to other car manufacturers e.g. BMW, Jaguar or Audi to incorporate into their cars. It is likely that in selling the cars with the fitted driverless technology that these companies would then be liable in any claim for product liability. This would then likely result in discussions between manufacturers and organisations like Google on the practicalities of using their technology. In criminal law in the UK if someone has committed a crime e.g. murder by knocking someone down in a car then there is an established process to determine guilt. A court would have to find that a party had the necessary mental intent to kill someone before they could be deemed as guilty. When dealing with driverless cars, where the 'driverless' feature is enabled, and someone is killed by being run over the process is less clear. As mentioned above, a court would need evidence of intent to kill. However a driverless car is essentially a machine. It would be very difficult to show that a machine actually intended to kill someone by running them over. The situation may be slightly less complex if, following the introduction of driverless cars into the UK the law was changed to provide that driverless car owners are responsible for any and all accidents that it causes. The likelihood of this happening is questionable, as it would ask consumers to accept a relatively high degree of risk in using the car. The law would then be asking driverless car owners to take responsibility for driving a car which they may not actually be driving 100% of the time. There is also a question over what would happen, given the ability of Googles driverless car to exceed the legal speed limit, as to who would be liable. The UKs roads are littered with speed cameras which would presumably catch a driverless car that is only speeding to match the speed of other nearby cars. The UK would have to initiate some kind of system that grants driverless cars an exception to this rule, but the likelihood of this happening is debatable. It would be impracticable, and costly, to design a software that does not penalise driverless cars for speeding. 5. A sign of things to come? Driverless cars are a significant leap forward in terms of automotive technology, and if transferred to the consumer marketplace, will revolutionise the driving experience. Technology giants are continuously testing the limits of what is feasible, and are always introducing innovative new products to the world. The law has always lagged behind technology in taking account of these developments, and it is likely that this will remain so for the foreseeable future – technology simply moves too fast. However the introduction of driverless cars into the UK will force the law to develop new and interesting ways of dealing with the intermingling of humans and what are essentially, robots, in everyday life. Like our driverless cars legal guide? Why not share.